Today’s post is about another clssic recipe from Andhra Pradesh. Mamidikaya Pappu or Raw Mango dal that goes well with steaming hot rice and a dollop of ghee or with roti. I enjoyed this simple and delicious lunch today. Simple food is always the best.When you cook with all your heart and soul the dish turns out to be delicious for sure. Today’s theme for 160th #Foodiemonday bloghop #DaalsofIndia was suggested by our blogger friend Priya Iyer who blogs at https://thephotowali.wordpress.com/. Wash toor dal and pressure cook with enough water upto 2 whistles in a cooker.Once done keep it aside. Heat a wide bottom pan.Add oil.Once the oil is hot add jeera and mustard (keep some jeera and mustard for final seasoning).Once the mustard splutters add the red chillies ,chopped garlic and green chillies(keep some aside for final seasoning). Saute for a few seconds and then add the chopped onion. Saute till the onions turn translucent. Add turmeric, curry leaves, and raw mango slices and mix well. Add 1/2 cup water so that the mangoes become tender. I had got a very tender mango with a small seed and it was used without any wastage.Once it is done add the boiled dal and mix well.Add 1 cup water and salt to taste.Let the dal boil for about 10 mins on low flame. Switch off the stove. Heat ghee. Add remaining jeera and mustard seeds along with green chilli.Once the mustard splutters add asafoetida .Swtich off the stove. Garnish with this seasoning along with finely chopped coriander . 1.Increase the use of chillies depending on the sourness of the unripe mango. You can also use ginger finely chopped.I have not used as i did not have stock. Pulses /Dals are part of the legume family, but the term “pulse” refers only to the dried seed. Dried peas, edible beans, lentils and chickpeas are the most common varieties of pulses. Pulses are very high in protein and fibre, and are low in fat. 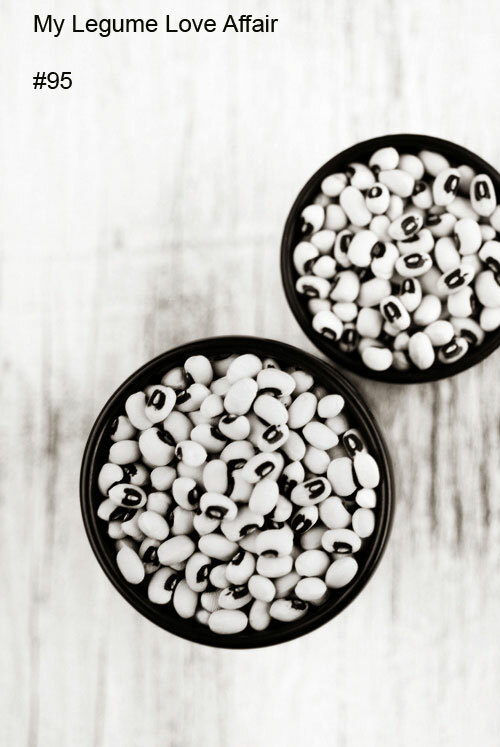 Pulses are a great tasting addition to any diet. They are rich in fibre and protein, and have high levels of minerals such as iron, zinc, and phosphorous as well as folate and other B-vitamins. Pulses come in a variety of shapes, sizes and colours and can be consumed in many forms including whole or split, ground in to flours or separated into fractions such as protein, fibre and starch. Pulses play a very important part in the Indian Cuisine. 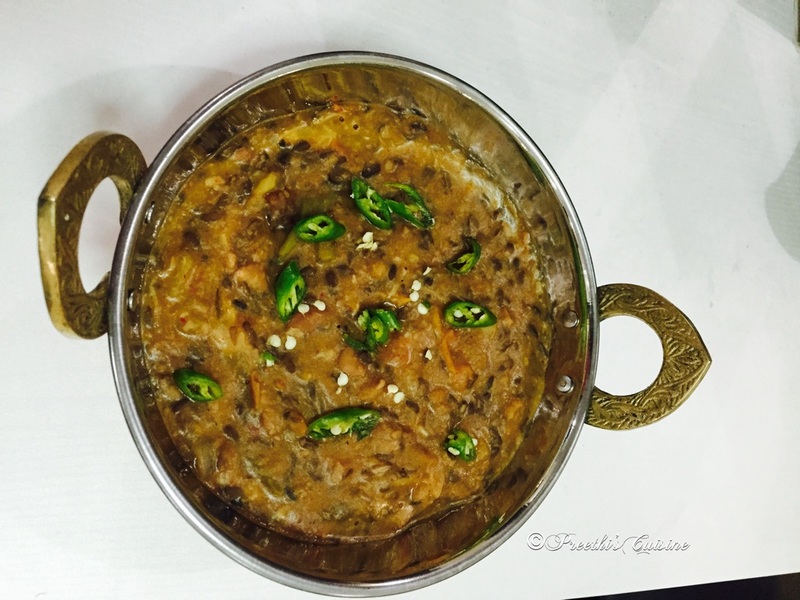 Dal can be cooked in different ways.I am sure many of you would agree with me that dal is the most comforting food anytime. Wash the dals and pressure cook them along with turmeric/ haldi, green chilli and ginger grated upto 3 whistles and keep it aside. Heat a heavy bottom pan. Add ghee, rai and jeera.Once you hear them splutter add the dry red chillies and chilli powder.Mix well. Add the pressure cooked dal and salt to taste. Add 1 cup of water to adjust the consistency.Let it simmer for 5 mins.Crush the dry pudina between your palms and add it to the simmering dal.Let is simmer for 2 mins. Add the lime juice and garnish with chopped coriander. Serve hot with piping hot Rice and Pickle or Phulkas. Punjabi cuisine is known for versatile dishes rich in buttery flavours in both vegetarian and meat dishes. Butter and Clarified butter / Ghee is extensively used. Traditional Punjabi thali consists of various types of breads; some are baked in the tandoor such as tandoori roti, lachha paratha, naan and kulcha with Dahi and Aachar (Yogurt and Pickle) .There are breads that are shallow fried such as parantha and deep fried such as puri and Bhatura accompanied with chole.The list of yummy dishes is endless. I am a great fan of Dal Makhni. Although I have not used any cream, it was totally lip smacking and thoroughly enjoyed by my family. Soak both Whole urad dal and rajma/kidney beans overnight in enough water. a little salt. Pressure cook for 18 to 20 whistles on a high flame, till both the urad dal and rajma have cooked thoroughly and softened. Keep the cooked beans aside.Blend tomatoes to fine puree. Heat a Pan, Add 3 Tbsp butter, cumin seeds, cloves, green cardamoms, 1 inch cinnamon and tej patta/bay leaf. Saute till you can smell the aroma of spices. Now add finely chopped onions. Saute the onions on a low flame till they turn slightly brown.Add ginger garlic paste. Saute for 2 mins.Add the blended tomato puree and mix well.Now add red chili powder and nutmeg powder.Stir very well and medium flame.Add the cooked urad dal and rajma beans along with the stock. Add water if you feel it is too thick. Let it simmer uncovered on a low flame. Keep stirring in between so that the beans don’t stick to the bottom of the pan. 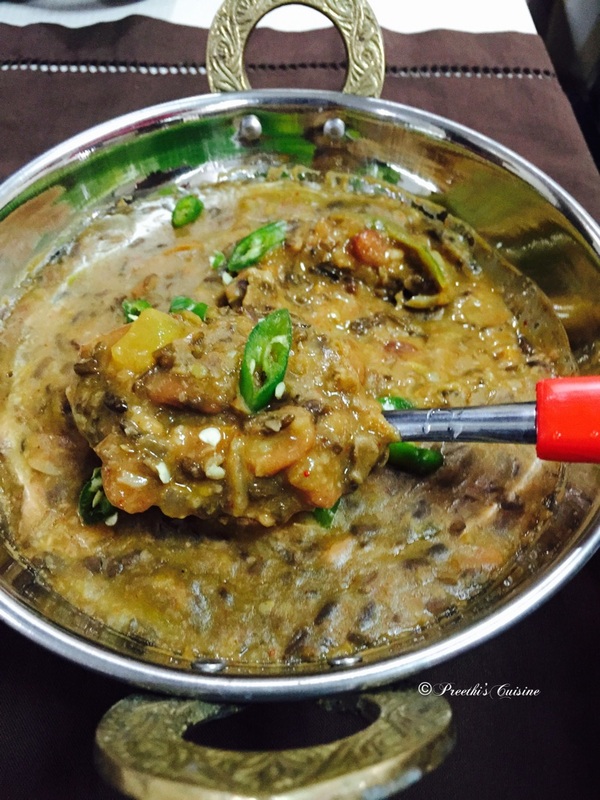 Once the dal makhani has begun to thicken, add salt as per taste. The longer you keep dal makhani to simmer, the better it tastes. I had kept for 30 mins minutes on a low flame. Do keep on stirring at regular intervals. Garnish with chopped Green Chillies. Cover and keep the dal makhani for 10 mins. Serve hot with Phulkas/Rotis / Steamed Rice. PS: I have not used any cream. You can add if you want to make it more rich in taste.Even without the cream it was finger licking good.